David Cameron wants to keep Britain in the EU, and negotiated a deal with the EU to this end, but the deal undermines the EU, so that the EU is weakened regardless of the referendum outcome. The inability of the financial sector to price political risk is being made painfully clear by the “Brexit” situation and what it portends for Europe, for the EU, and for global finance. Now, “Brexit” is an unlovely neologism — much like “Grexit,” from which I believe it derives, both being conjunctions of the names of nation-states with the word “exit,” meaning an exit from the Eurozone, and, symbolically, ouster from Europe, the European project, the European idea — but I will employ it anyway, as it has rapidly become the convention. It is important to observe that there are no good outcomes for the Eurozone in the wake of the British referendum on Brexit. If Cameron gets his way and Britain retains its EU membership, it will maintain this membership under specially negotiated terms, which demonstrates unambiguously that all members of the EU are equal, but some are more equal than others. If the British people vote against the deal and Britain voluntarily secedes from the EU, it will mean that one of the strongest economies in the EU, including the fabled banking center of London, have chosen to leave the EU, like the first rat leaving a sinking ship. It isn’t just Britain and Brexit, of course. There is the lingering aftermath of the financial crisis, which began with the sub-prime mortgage crisis in the US, spread contagion-like to Europe, but was never resolved satisfactorily because of the financial difficulties of southern European nation-states like Italy and Spain, but especially Greece. Decisive and definitive action to reform Europe’s banking sector could not be pushed through under these circumstances, and now these unresolved problems are manifesting in unexpected and unintended ways due to the refugee crisis in Europe. I am not predicting financial collapse in Europe, nor I am predicting social collapse in Europe; nor I am predicting large scale social turmoil. Europe is a very civilized place; the Europeans, by and large (and after spending hundreds of years killing each other), understand that it is in their interest to maintain economically, politically, and socially stable societies in which as many citizens as possible can live stable and prosperous lives. The approximately 500 million people in the EU are not going to suddenly shutter their shops, close their businesses, and stop buying things. Business as usual will continue, with interruptions and disruptions. Europe is, however, facing an existential crisis every bit as momentous as the Civil War that tested American unity as a nation-state. The basis of unity is distinct, and the test is distinct, but the danger is parallel. We all know that, in cases of warfare, violent revolution, or even extreme social turmoil, that a financial position can unwind with shocking rapidity, leaving investors (typically, those investors slowest to respond to the crisis) holding the bag. The combination of financial ruin and the suddenness of its occurrence can be too much for some, and this is when we see people jumping out of windows rather than facing life as impoverished has-beens. It is no surprise that financial traumas of this kind, that emerge not from predictable market forces, but from human, all-too-human events, driven by emotion, passion, and and what Keynes called animal spirits, are put behind the market as quickly as possible, as the survivors go about the again-predictable business of picking up the pieces and going on with life. Investment advisers like to tell potential investors that “market timing” is irrelevant, and that a prudent and long-term investor will consider market spikes and dips as somehow too petty to notice, almost beneath contempt. But if you invest your life’s savings in something as stable as bonds (like the investors in WPPSS, the Washington Public Power Supply System) or even in the very corporation that employs you (as with Enron employees who were actively encouraged to invest everything in Enron stock), and these apparently stable investment vehicles go sour due to reasons that have little to do with investment strategies, there is nothing left over to get back into the market. Yes, of course, the market will recover again, in time. By that time your retirement may be long over and you will have lived your final years in poverty before dying penniless. In the big picture such instances of individual suffering are unimportant and irrelevant, but to the individual who loses everything, it is everything. This investment advice to disregard market timing is a rationalization and justification of the inability of the financial sector to price political risk. Political risk is a blindspot for finance capital, and as the world becomes more economically and politically integrated, this blindspot is becoming a serious stumbling block both to understanding and to action. We have good economic models to describe how even complex industrialized economies function. But an economic model of a society is only a partial model of society. Sometimes business as usual continues even as a society is disrupted by political and social unrest (like the growing US economy despite Civil Rights protests in the 1960s and Vietnam war protests in the 1970s), but sometimes political and social unrest can cross a threshold beyond which business as usual ceases and the political and social unrest become the focus of all attention and business as usual does not recommence until the turmoil is resolved and business begins again under changed circumstances, sometimes even under changed institutions (as happened with the collapse of the Soviet Union). A more complete model of society would include social and political factors in a way that the social sciences have not yet been able to pull off. At the end of this process would be a model of civilization itself, including economic, political, social, religious, and other factors. I have often pointed out that we lack a science of civilization, and the financial blindspot in pricing political risk is a perfect practical example of what it means to be without a model of civilization. I have often said that the most expensive commodity in an industrialized economy is human labor. While generally true, this is a claim that admits of many exceptions, and, as I have come to see, these exceptions are likely to increase over time until the exception becomes the rule and our perspective is transformed by changed circumstances. But I am getting ahead of myself. I have also often said that a civilization can be defined (at least in part) by the particular set of problems that it engenders, and that once a civilization lapses, its problems disappear with in and new problems arise from the changed civilization that supplants the old civilization. Another way to express the same idea would be to say that civilization can be defined by its particular disconnects — i.e., the particular pattern of ellipses that persists in our thought, against all apparent reason — and this in turn suggests an even better formulation, by defining civilization in terms of both its unique set of “connects,” if you will, and its disconnects, i.e., the particular patterns of foci and ellipses that together constitute the conceptual infrastructure of a civilization (or, if you like, the logical geography that defines the epistemic space of a civilization; on logical geography cf. the quote from Donald Davidson in Epistemic Space). In several posts I have examined some fundamental problems (which I have also called fundamental tensions) in our civilization, as well as major disconnects in our thought. In regard to fundamental tensions, in The Fundamental Tension of Scientific Civilization I wrote that science within scientific civilization will become politicized, but those scientific civilizations most likely to remain viable are those that are best able to resist this inevitable politicization, and I recently returned to this idea in Parsimony in Copernicus and Osiander and suggested that another fundamental tension is that between methodological naturalism and ontological naturalism, i.e., scientific method exists in an uneasy partnership with scientific realism. In regard to disconnects, in A Philosophical Disconnect I observed a disconnect between political philosophy and philosophy of law, which disciplines ought to be tightly integrated, since in our society law is the practical implementation of political ideals, and in Another Disconnect I observed a disconnect between accounting and economics, which again ought to be tightly integrated as accounting is the practical implementation of economics. Another important disconnect has only just now occurred to me, and this is a disconnect that we see today in the conceptualization of the labor market. The disconnect is between the theoretical explanation of technological unemployment on the one hand, and on the other hand the increasing employment insecurity (therefore existential precarity in industrial-technological civilization) among many classes of workers today, and the failure to see that the two are linked. In other words, there is a disconnect between the theory and practice of technological unemployment. It would be best, in a discussion of technological unemployment, to avoid the facile question of is-it-or-isn’t-it happening. There is no question that changing technology changes the economy, and changes in the economy result in changes in the labor market. The relevant question is whether technological changes create new jobs elsewhere. But even this is a relatively shallow perspective, that carries with it assumptions about the role of labor in social stability. But social stability is an illusion — an illusion sustained by our perspective on history, which is parochial and relative to the individual’s perception of time. As every prospectus always says, “Past Performance is Not Necessarily Indicative of Future Results.” As with investments, so too with the labor market, which has changed radically over time, and, the larger the sample of time we take, the more radical the change. Because of our innate human biases we tend to think of anything persisting throughout our lifetime as permanent, but the contemporary institutions of the labor market did not even exist a hundred years ago, and it is at least arguable that no concept of “labor” as such existed a thousand years ago. Labor as a factor of production, along with land and capital, is a venerable formula, but the formula itself is younger than the industrial revolution. Rather than be surprised that macroscopic change takes place over macroscopic historical scales, we should expect it, and our experience of industrialization — itself only about two hundred years old — and the ability of industrialization to continually revolutionize production, should suggest to us that we continue to live in the midst of a revolution in which change is the only constant. The labor market will not be exempted from this change. The truly interesting questions are how the labor market will change, and how these changes will interact with the larger social context in which labor occurs. One macroscopic structure that we are likely to see in the labor market over historical time is something that I will call peak labor. As an industrialized economy develops through its initial stages that drives up the cost of labor that only human beings can perform, but then eventually passes a technological threshold allowing most forms of human labor to be replaced by machine labor, such an economy will pass through a stage of “Peak Labor,” that is to say, a period when human labor is the most expensive commodity in the economy, after which point labor begins to decrease in value. As machine equivalents to human labor tend to zero over the long term (the very long term), human labor as a factor of production will also tend to zero. Human beings will continue to engage in activities that could be called “labor” if we continue to use the term, but the sense of wage labor as a factor of production is a strictly limited historical phenomenon. Having learned from past experience that, in making any prediction, the assumption will be that some transformation is “right around the corner,” and we had better not blink or we might miss it, I must hasten to add that we are not going to see the value of human labor in the labor market tend to zero tomorrow, next year, in ten years, or even in twenty years. But what we will see are subtle signs in the economy that labor is not what it used to be. We are already seeing this in the gradual phasing out of defined benefit retirement plans, the decrease in lifetime employment, and the increase of temporary employment. As non-traditional and unconventional forms of labor very slowly grow in their representation in relation to the total labor market, traditional and conventional forms of labor will shrink in relative terms as constituents of the labor market. This process has already begun, but because this process is slow and gradual, and some individuals are not affected in the slightest, with many traditional forms of employment continuing for the foreseeable future, the process is not recognized for what it is. And this is a fundamental disconnect for our industrial-technological civilization, for which, as I have elsewhere observed on many occasions, the problem of employment is one of the central and integral tensions of economic activity. When wage labor eventually entirely disappears, no one will notice and no one will mourn, because the problem of employment is linked to a particular kind of civilization, and when the problem of employment disappears this will mean that a different form of civilization will have supplanted that in which employment is a fundamental tension intrinsic to that particular form of social organization. The form of social organization that supplants industrialism will not be without fundamental tensions, but it will have different problems and tensions than those which concern us today. If the Greek financial crisis were merely a financial crisis, i.e., a financial crisis and nothing else, it would be much less of a crisis than it appears to be today. Many commentators have remarked that Greek GDP represents only a very small portion of the total Eurozone economy, so that the amount of agony expended on the Greek problem is far out of proportion to the size of the problem. But the Greek financial crisis is not merely a financial crisis, it is also a political crisis, and it is a political crisis on many different levels. In so far as the Greek financial crisis is a political crisis, the financial crisis sensu stricto may be viewed as a trigger for larger events. It is this that has magnified the crisis. Analyses of the crisis sometimes focus on the symbolic importance of a Eurozone nation-state going bankrupt, which is crisis for the idea of Europe, while others focus on the potential fallout and knock-on effects of allowing the Greek financial crisis to run its course without outside assistance (i.e., a bailout and debt forgiveness), which is a financial crisis that ripples outward and grows with its expansion — a trigger event with catastrophic consequences, the textbook case of which is the beginning of the First World War. A few voices — not many, but a few — have suggested that, implicit in monetary union without banking union was the idea that future crises in the European Monetary Union (EMU) would force a reckoning that would presumptively be resolved by turning to ever closer European integration, so that Europe would gradually, hesitatingly, two-steps-forward-and-one-step-back, lurch its way toward full economic integration, and eventually even to full political integration. This is a more sophisticated analysis that sees the Greek crisis in a larger context, and I will not dismiss it out of hand, but I also cannot bring myself to make the many leaps that this argument requires. When have European crises been resolved by tighter integration? European integration has come about, when it has come about, as the result of peacetime negotiations, and not as a response to crisis. Even more recently, in an article on the front page of the Financial Times, “Italian finance minister says political union needed to ensure euro’s survival” (Monday 27 July 2015), Pier Carlo Padoan is quoted as saying, “The exit and therefore the end of irreversibility is now an option on the table. Let’s not fool ourselves… If we want to take that risk away, then we have to have a different euro — a stronger euro… To have a full-fledged economic and monetary union, you need a fiscal union and you need a fiscal policy… And this fiscal policy must respond to a parliament, and this parliament must be elected. Otherwise there is no accountability.” Here the whole program is laid out with the relentless logic of a domino theory: if you want to have the Euro, you need full-fledged, economic union, and if you want to have a functioning economic union, you need to have a European government with real power. The only thing missing in this account is the expectation that the first formulation of the Eurozone would inevitably result in crises, and the crises would be the trigger for these dominoes to fall. Those who see the Greek financial crisis in its geopolitical context express concerns of Greek alienation from the Eurozone resulting in closer ties with Putin’s Russia, recalling Cold War fears when Greece was one of the proxy theaters of the Cold War. It is entirely possible that Greece, rebuffed by the Eurozone, may turn to Russia for loans, and the Putin would be ready and willing to provide these loans, despite the desperate condition of the Greek economy (and, for that matter, of the Russian economy as well), for political reasons rather than for economic reasons. (And in a changed political climate Russian loans would likely be paid back even if European loans were not paid off.) This strikes me as a more plausible scenario than the above interpretation involving a purposeful trainwreck. It was a great Cold War coup that NATO was able to persuade rivals Greece and Turkey both to join NATO in 1952, when Greece was the only Balkan nation-state to be part of the western military alliance. Now other Balkan nation-states are NATO members, and Greece is not isolated in the region as a consequence of its NATO membership, but it would be a source of particularly acute tension to have a leftist Syriza government courting closer ties with Putin’s Russia at a time of European unease over Russian actions in Ukraine. The attempt to unify Europe economically dates even to before NATO, and began as a geopolitical project to forestall European wars on the scale of the mid-twentieth century, and now that Eurozone is facing its greatest challenge since the implementation of the EMU, the unification of Europe will continue, if at all, as a geopolitical project. The economic rationale for European economic union seems to be present — i.e., the economic union of Europe seems to make sense, but just because something seems to make sense doesn’t mean that it is practicable. In the particular case of Greece, accession to the Eurozone was highly impractical. Greece entered into the European Monetary Union (EMU) with a wink and a nod. There was a sotto voce acknowledgement that Greece did not meet the macroeconomic requirements of joining the EMU, but everyone looked the other way anyway because it was thought that Greece was hitching its wagon to a star; the EMU and the European wide common market was going to be such a grand success that the problem was going to be keeping the “wrong sort” out (like Turkey, which repeatedly expressed its interest in joining the Eurozone, but excuses were always found to exclude the Turks). Here the political rationale trumps the economic rationale. When a large and diverse geographical area is contained within the borders of a single nation-state — as with the United States, Russia, China, India, or Brazil — this geographical diversity is often expressed in economic diversity, with wealthy regions and cities contrasted with impoverished regions and cities. Within a single nation-state wealth transfers will sometimes be undertaken to offset these extremes in the form of state institutions and mechanisms. These wealth transfers can range from generous to nearly non-existent depending on the nation-state in question. We see this in a much more limited way in the international system, when wealthy nation-states will sometimes give aid and assistance to impoverished regions of the world, but this kind of aid never reaches the level of wealth transfers seen within a single nation-state. The unification of a nation-state from multiple territories, and the subsequent imposition of a unified system of banking and taxation, constitutes a microcosm reflecting the opportunities and risks that face larger-scale attempts at economic and political unification, as in the case of the Eurozone. The unification of Italy from 1815 to 1871 — a process requiring more than a half century, but roughly corresponding to the span of time of post-war Europe — and the unification of Germany in 1871, both contain detailed lessons for a unified Europe. The unification of Germany has, of course, been a fraught matter. Libraries of books have been devoted to the topic. The unification of Italy has sometimes been cited as one cause of the economic backwardness of southern Italy in comparison to the dynamic north of the country; coupling these diverse norther and southern regions into one national state with a single set of national institutions has not come without consequences. The reader who has made it thus far may find themselves expecting me to make a case for the rescue of the Greek economy at any cost in order to salvage the geopolitical project of the Eurozone, which was, after all, never conceived primarily as an economic project. It is an economic project secondarily, but a geopolitical project primarily. I am not going to make this argument, which has been made many times, and which is fatally flawed. Europe remains a continent of nation-states (like every continent except Antarctica). Power lies in the sovereign legislatures of each nation-state, in their economic capacity, and in their respective militaries (or the lack thereof). If Europe is salvaged as a geopolitical project, it will be because some European nation-state, or combination of nation-states, determines that it is in their sovereign interest to salvage the Eurozone, and not because some abstract entity like “Europe” commands the loyalty of any population or its military forces. While it is no longer the custom in Europe to offer up prayers for ideological programs, the secular equivalents of prayers are daily being published in the organs of mainstream thought in Europe. The Eurozone (and its advocates among Europe’s elite opinion) are unarmed prophets of transnational political unification. As unarmed prophets, we would expect them, following Machiavelli, to be destroyed. But Europe exists under the security umbrella provided by the United States, so that while the Eurozone itself may be an unarmed prophet, it is an unarmed prophet with an armed faction prepared to defend it. What will the US, as the security guarantor of Europe, see as its geopolitical interest in European unification? Will the US provide the muscle to allow the great European experiment to continue, or will it accept European fragmentation, as long as that fragmentation does not follow the pattern of the Balkan wars following the breakup of Yugoslavia (that other great European experiment in the political unification of the South Slavs, whose earlier fragmentation provided us with the term “Balkanization” and triggered the First World War)? At present, the US is making only cautionary statements and is not actively involved in what is, in effect, the re-negotiation of the Eurozone. With an upcoming US election, one would not expect any new political initiatives from the US in regard to the Eurozone. With the US deeply mired in crises in other parts of the globe, Europe is not high on the agenda. ● Will the Eurozone enact a Greek tragedy? ● Can collective economic security work? ● What would a rump Eurozone look like? The emerging consensus in the financial press is that Greece must default on its debt obligations. No longer is the question, “Will Greece default?” but rather then question is, “When will Greece default?” After a pause, another question comes up: “How exactly will Greece default?” Will a Greek default mean Greece leaves the Eurozone (or, rather, the EMU, the European Monetary Union), or will Greece default and a way will be found to keep the country in the EMU? The more these questions are followed by further questions the more obvious it becomes that those asking the questions are seeking justifications and rationalizations to retain Greece within the Eurozone even as it defaults. During the last episode of Greek default brinkmanship it became increasingly obvious that the powers that be would find a way to avoid Greek default and exit from the EMU (known by the ugly coinage “Grexit”). How do we know this? There was no significant shorting of the Euro in currency markets. Greek bonds took a hit, but they didn’t collapse. In the final analysis, no one really believed that anything dire would happen. Financial markets remained calm. Now that we are once again approaching the brink, and the drumbeat in the financial press is that Greece must default this time, again financial markets are mostly calm. The Euro is not plunging in value (the Euro is lower in value, but not at historic lows), and Greek bonds recently rallied on the assumption that the sidelining of Yanis Varoufakis would make negotiations easier. It seems, once again, that the conventional wisdom is that the worst will be avoided. In other words, a way will be found for Greece to default on its debt and to remain within the EMU so as to create the fewest waves in the markets. There are at least two interesting things to notice about this process. The first is how far an institution (or institutions) can be pushed in a desired direction in order to obtain a desired result. The Eurozone is today a rather different entity than when the Eurozone treaties were drafted in the late 1990s and the Eurozone was only imagined. Today the Eurozone is at a crossroads, but as important as the crossroads is the long road behind it — a road of repeated and flagrant violations of the Maastricht criteria that were to govern the Eurozone, in which no nation-state has been held to account for its violations. In this context, the further violations required to keep Greece after default in the EMU do not seem particularly outrageous, as they would have seemed to those drafting the Maastricht criteria. ● Long-term interest rates, to assess the durability of the convergence achieved by fulfilling the other criteria. Of course, these are statements of general principle and not quantifiable economic measures, but the Eurozone also has stipulated quantifiable economic measures, and there is a lot of fine print involved in these stipulations. It is now known and generally acknowledged that Greece did not meet the convergence criteria when it was admitted into the EMU. It doesn’t take much research to find the documentation on this, but you do have to have a memory that goes back more than ten years. Also cf. The politics of the Maastricht convergence criteria by Paul De Grauwe. To understand why Greece failed to meet accession criteria but was admitted anyway one must enter into the mindset of those laying the groundwork for the EMU. The Eurozone’s monetary union was viewed as a shoe-in for success, and getting in on the ground floor was seen as something as a coup for a marginal economy like Greece, which had hitched its wagon to a star. The people of Greece had only to sit back and watch their economy soar into the stratosphere, pulled along by German and French economies. By allowing Greece into the EMU with a wink and a nod, the EU has plausible deniability when it comes to Greek entry into the Eurozone — their papers were in order, if falsified — but no one at the time really believed the Greece met the Maastricht criteria. In all fairness, while the Eurozone did not enforce its own accession conditions for the entrance of Greece into the EMU, other nation-states within the Eurozone have repeatedly and routinely failed to meet Eurozone convergence criteria, and they have not been held to account. No consequences follow from having too large of a budge deficit or allowing inflation to get out of hand. The individual economies within the Eurozone appear to enjoy complete impunity in regard to the convergence criteria. This is how the Eurozone has arrived at its present position, which is that of trying to find excuses to allow Greece to default while remaining within the institutional structure of the Eurozone and the EMU. To return to the two things I said above deserve to be noted in the present situation, the second thing to notice is that, however far an institution (or institutions) can be pushed, there eventually comes a breaking point — the straw that breaks the camel’s back, as it were — and the real brinkmanship going on is not whether Greece will default or whether Greece will leave the Eurozone, but whether the Eurozone will push its institutions to the breaking point. I want to pause over this ancient problem of brinkmanship and breaking points, because recent scholarship can shed light on this in an unexpected way. A good portion of Daniel Kahneman’s book about cognitive biases, Thinking, Fast and Slow (especially Part I, section 9, “Answering an Easier Question”), is devoted to cognitive biases in which we substitute an answer for a difficult question with an easier question that we know how to answer and to which we can give a definitive answer. I don’t think that we can stress strongly enough how important (and how under-appreciated) this insight is in relation to economics and politics. All you have to do is to read the reasoning of traders in volatile commodities, and review their elaborate justifications for investments that miss the point of the biggest questions, in order to see how profoundly this affects our world today. Because it is relatively easy to talk about quantitative measures of the economy, and what these have predicted in the past, but it is very difficult to say exactly when public discontent is rising to the point that an unprecedented disruption (or a revolution) is about to occur, it is not surprising that economists and politicians alike prefer to answer the easy question, and sometimes they even convince themselves that the easy question is the only question. Not to worry. Insurance companies are ready for such unprecedented events. I have often reflected on the theology of the insurance adjustor who must adjudicate between events anticipated by the language of a policy and those events not anticipated or predicted, and so come under the all-embracing umbrella of “Acts of God.” Wikipedia says that, “An act of God is a legal term for events outside human control, such as sudden natural disasters, for which no one can be held responsible.” This term of art from the insurance industry can paper over a multitude of sins and cognitive biases: deal with the easy problem you’ve substituted for the difficult problem, and then when the difficult problem asserts itself, call it an “Act of God” (or the political equivalent thereof). If we are honest, we must admit that we do not know what will become of the Eurozone and the EMU. Trying to predict the future of an enterprise so large and so complex is like trying to predict the weather: we can say pretty well what will happen tomorrow, within certain parameters, but the farther we go into the future the more our models for predicting the future diverge, until at some point different models are making inconsistent if not antithetical predictions. This is the essence of a chaotic system, and financial markets and political communities are chaotic systems. The Eurozone is not fundamentally economic, but political. It is a political project masquerading as an economic project, and while diplomacy often requires masquerades, when the music stops and the ball comes to an end, the masks must come off. Because the Eurozone is a political project, the glosses on its presumed political meaning are legion. I have read accounts in reputable media claiming that it was the intention of the Eurozone that, once economic unification had started, member states would lurch from crisis to crisis, and these crises would force member states to surrender political sovereignty, thus slowly transforming the Eurozone into a political union — perhaps the political union it should have been from its inception. I wouldn’t go quite this far, but such an account at least understands that only political union would make possible the wealth transfers within the Eurozone that would make the EMU workable in the longer term. Since these is no clear idea of what the Eurozone stands for, one cannot convict the Eurozone of hypocrisy or contradiction. And there is no question that the Eurozone can find some way for Greece to default and to remain within the Eurozone, but any such arrangement will have to accept that Greece will in no sense be an equal member of the Eurozone and EMU. What, then, will Greece be? What will become of Greece? Quite some time ago I noted the possibility of “Euroization,” that is to say, the adoption of the Euro as a currency by a nation-state (or other political entity) not part of the EU, much less the EMU. There is precedent for this in dollarization — the use of the US dollar outside US territories. The Ecuadorian economy dollarized, and the Argentinian economy is partially dollarized, with real estate purchases traditionally transacted in US dollars and its many dollar-denominated financial instruments. If Greece defaults but remains within the EMU, it will become a de facto “Euroized” economy that employs the Euro as its currency, but which has little real participation in the European economy. The Greek economy is not large enough, even in its presumed implosion, to seriously threaten the economies of the other EMU nation-states. If Greece defaults and exits the EMU, both Greece and the remaining nation-states of the EMU will pass through a painful adjustment, but Greece would probably be better off than languishing in the perpetual twilight of Euroized poor cousin to the EMU. Some consequences of a Greek exit form the EMU are quite easy to guess. Tourism has been a major component of the Greek economy for some decades, and it is likely that most of the upmarket hotels patronized by foreign visitors will price their rooms in dollars or Euros, and in so doing a major sector of the Greek economy will take in hard, convertible foreign currencies. This alone will keep a substantial portion of the Greek economy in operation, even if no one wants to think of their country as nothing but a tourist destination. This is not at all unusual. Many hotels I have stayed at in South America price their rooms in dollars, and some will only take dollars. I especially noticed this in Argentina when I was there in 2010. Even as the Argentine economy stumbles under mismanagement, those who have a hotel that attracts foreign guests capable of paying in hard convertible currencies can do quite well in such an economy desperate for dollars. But while the Greek economy can subsist, after a fashion, on tourism, agriculture was always the strength of the Argentinian economy, and tourism does not represent a substantial contribution to the overall economy. For Hobbes, the state of nature was no idyllic peaceable kingdom, but the arena of the war of all against all — a violent vision of anarchy at odds with many subsequent romanticized visions of anarchy. A distinction should be made among the detractors of civilization, between those who look upon a violent convulsion in which civilization is brought to an end as a necessary purging of contemporary wickedness, and those who look rather to the peaceable kingdom they believe will follow after the work of the destruction of civilization is completed; these are two very different motives for welcoming the end of civilization. Those who wish to fight in a cosmic war in order to be part of the grand work of destroying our wicked civilization — whether it be judged wicked for its wealth, its lack of religious piety, its industrialization, its pollution, its tolerance of individuals who where not tolerated in traditional regimes, or any other reason — have a distinct set of motivations from those who want to inhabit the post-apocalyptic peaceable kingdom, and I will not address these former individuals or their motivations at present, as I have dealt with them elsewhere (e.g., in Kierkegaard and Russell on Rigor). For the rest, for those who look forward to the peaceable kingdom of a post-apocalyptic, post-industrial world in which human beings will live in harmony with nature (not, presumably, the nature of Hobbes, but rather the nature of Rousseau), what satisfactions will they expect to derive from the restoration of a subsistence economy lacking the creature comforts that we today take for granted, like flushing toilets, hot showers, clean clothes, and our choice of foods made available from the entire world? Looking around the surrounding world of nature, what will natural man — the noble savage — do in order to seek satisfaction? He may attend to his bodily needs, using his mind and his hands to build shelter, sew clothing, hunt or gather food, and perhaps preserve some part of that food for a future time when the supply of food is less certain. When his bodily needs are met, he may choose to amuse himself, making up stories, or singing, perhaps using his mind and hands again to create a musical instrument or a painting or a piece of sculpture. In short, natural man in search of satisfaction will begin to transform himself into unnatural man, and thus begin the long process of creating civilization. In the midst of the plenitude of nature, natural man draws upon his own resources to go beyond nature. In other words, he creates civilization as a natural response to his desires. 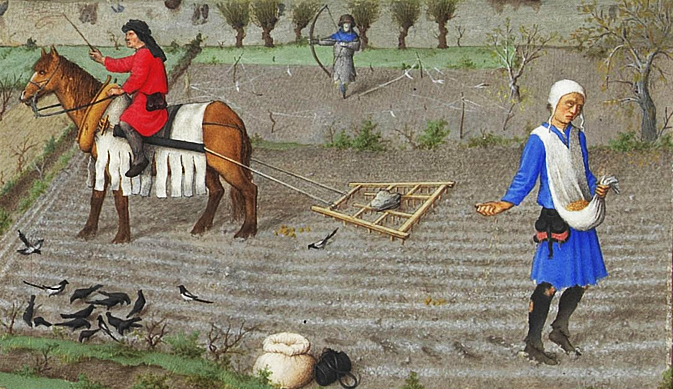 This process, iterated over generations, gives us the traditions of agrarian-ecclesiastical civilization. It would be an interesting exercise to parse the above quote in detail, as contains so many interesting assumptions, but I will desist for the time being, except to note that the “social orders of rank and status built up by a long national or local history” closely resemble the traditions described alike by Marx and Edmund Burke (and which I discussed in Globalization and Marxism). For now, I only want to observe that the satisfactions of life in a subsistence economy — really, a subsistence economy for the great mass of humanity, and a luxury economy for the privileged few, since agrarian-ecclesiastical civilizations invariably take the form of a mass of peasantry working the land and living hand-to-mouth while elite culture is reserved for the small fraction of the population with the leisure for art and literacy — are precisely those cultural institutions slowly built up over the course of ten thousand years of agricultural civilization, and rudely brought to an end by scientific civilization. I do not doubt that, given enough time, humanity could be re-acculturated to these institutions, but I suspect that this process would require generations to become effective, and that individuals acculturated in the world today would largely reject these satisfactions of life specific to a subsistence economy — frequent religious festivals, occasional spectacular entertainments (theater, jousts, processions, etc. ), etc. — as insufficient compensation for the loss of modern plumbing and the re-imposition of heavy physical labor. Let us suppose, merely for our private amusement, that human civilization lasts long enough for the pendulum to swing completely, and that our civilization is slowly transformed into its opposite, from its present decadence into renewed, post-modern medievalism. This new epoch of medievalism would be an age with technology superior to our own and a more complete record of the past than we possess. Would these medievals look back upon us as the Golden Age, or upon the Middle Ages as the lost Golden Age? Would they nod while reading the Scholastics and react with horror to the existential excesses of the nineteenth and twentieth centuries? Would they want to preserve our pagan learning, or would they feel entirely justified in extirpating it? Upon such twists of fate do our efforts enjoy success or come to grief. Perhaps the satisfactions of life in a subsistence economy might be rendered more acceptable if we could retain some of our creature comforts. But supposing the transition could be made with plumbing intact but our intellectual horizons severely constrained, would this be any better? If the great mass were kept more or less comfortable but deprived of the possibility of expanding their horizons intellectually, and living in a society without expanding intellectual horizons, would this be easier to accept than a straightforward return to idyllic primitivism? This is a question that could only possibly be settled by a social experiment on a civilizational scale. And it suggests another experiment: suppose we preserve the open intellectual horizon but take away the creature comforts — how would this fare as a form of social organization? And of any of these social experiments, we could ask whether they really would restore us to some sense of the presumed satisfactions of a subsistence economy, or whether this has become strictly unimaginable to us. 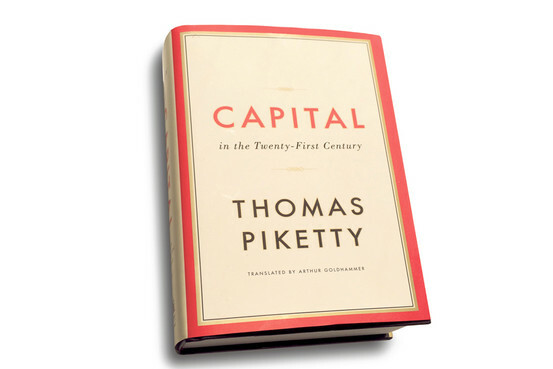 I‘ve just finished Thomas Piketty’s much talked about book Capital in the Twenty-First Century. There is much that could be said about this rather long book, but I will not attempt a review. Piketty’s theme is the concentration of capital at the top of the income hierarchy. Income inequality has become a political issue of some importance, and Piketty’s book speaks directly to this interest, which partially explains its popularity. One point that Piketty does not make explicit in his book, but which could be said is implicit throughout, is the transition to an economic paradigm that could only be called a “winner-take-all” model. Many have commented on this. 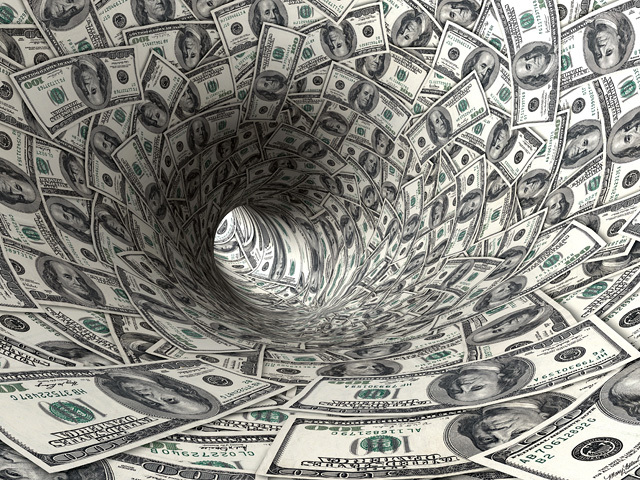 Skyrocketing executive pay is only only symptom of this social transition. It is arguable that the upward skewing of income and expectation is a function of what has been called the “attention economy” (and which in terms of the internet specifically is sometimes called “clickbait”). In a world flooded with a cacophony of voices competing for attention, those who can best capture the interest of others have an advantage. In each field of endeavor — music, sports, entertainment, industry, government, media, etc. — there are a handful of superstars who disproportionately command public attention and the rewards that follow therefrom. They are the winners, and they have scooped up the pot and left nothing on the table. Another point about this winner-take-all phenomenon is that at first we have a natural reaction saying, “Well, winner take all; there can only be one winner,” but here’s what technology is doing: technology is increasing the number of races in which you can win. There are more and more niches and more and more places in which the technology creates new ways in which one can win. There isn’t a finite number of winners, there’s an infinite number of winners as long as you’re not trying to win someone else’s race. The way everybody can become a winner is to continue to increase the number of ways to play, even though you have these winner-take-all phenomena. There’s only going to be one search winner, but there are so many other ways to race and to win other than in, say, search. In most cases, trying to compete against a winner is not going to succeed in this kind of dynamic. What you want to do is make up a new way to win. What will we do with the losers in a winner-take-all economy? Keep in mind that most of us are “losers” — including those who are “winners” along some thin segment of the long tail. Most of us are neither rich nor famous nor well-connected and influential. What is to be done with us? are we to be quietly forgotten? Are we to go gentle into that good night of poverty and obscurity? For Dr. Johnson, then, the mitigation of poverty is a civilizational issue. This is, moreover, the differentia that marks the distinction between true and false civilization. The condition of the well-to-do is pretty much the same everywhere. That is still true. Indeed, it is likely to be even more true today than when Johnson said this to Boswell. The technocratic elite of global society have access to similar resources, they shelter their wealth in similar ways, they travel in the same circles, gather in the same hotels, eat at the same restaurants, and send their children to the same schools. What continent they happen to come from is much less important than their bank account, or what tax haven they happen to use as their address — or the address for their offshore bank accounts. One of the ways in which individuals become impoverished, marginalized, and socially invisible is through unemployment. While growing income inequality is a complex problem with many historical forces driving it, the problem of unemployment — a problem intrinsic to industrial-technological civilization that can never be “solved,” but only managed — may be significantly exacerbated in the near future (by which I mean within the next 50 years). If technological unemployment becomes a major economic factor in the coming decades, this could drive an already widening social gap to dangerous levels that are not socially sustainable. This may happen anyway, but my point is simply that technological unemployment could make this happen more rapidly. In several posts on technological unemployment (“…a temporary phase of maladjustment…”, Autonomous Vehicles and Technological Unemployment, Automation and the Human Future, Addendum on Automation and the Human Future, Technological Unemployment and the Future of Humanity, and Addendum on Technological Unemployment) I have pointed out that, not only is our society not making the transition to an economic regime in which the structure of employment realistically mirrors the nature of industrialization, but rather the prevailing attitude is punitive. Unemployment is seen as a personal failure, and even as a moral failure — a moral failure deserving of social disapproval. The poor are widely viewed as requiring discipline, regulation, and oversight by the professional classes. Is it possible to find a way to compensate the losers in a winner-take-all economy when losing is seen as a sign of moral failure and winning is ascribed to meritocratic success? These social attitudes exacerbate rather than mitigate the damage of extreme income inequality. And social attitudes cannot be easily changed. Piketty in his book makes a case for a global tax on capital, but honestly calls it utopian. He probably understands all-too-well that nothing like this is politically possible. But changing policies is much easier than changing social attitudes. Social attitudes do change, but they change with glacial slowness, and while they are ever so incrementally adapting to changed conditions, generations are being effectively lost. As Dr. Johnson rightly observed, this is a civilizational concern. If we care to pay attention, we can see this before our very eyes. The homeless live the life of nomadic foragers within the interstices of civilization. They have ceased to participate in civilization as we know it; they have given up on civilization, and civilization has given up on them. Of course we know that many of the homeless are mentally ill, and that many are alcoholics and drug addicts. Even today there are a few individuals who devote their lives to trying to help even those who spurn help and who abuse those who seek to help them. This is a thankless task, and it is only done out of love if it is done at all. That many of these individuals who have gone from merely being unemployed to being utterly destitute have serious deficits that require significant intervention to overcome is an indication that they come at a price that even the destitute are unwilling to pay. We have all heard stories of the indignities visited upon the impoverished and the helpless. Some of these stories are horrific, and, somewhat disturbingly, cultural Foucauldianism is sometimes invoked in order to excuse the failure to intervene in the lives of those who have suffered from the tender mercies of institutionalized “kindness.” I can both understand and sympathize with a desire to live free as an urban forager rather than to be subject to the discipline of some “total institution.” But are these our only choices? Are there not ways to intervene without insisting on control, regulation, and discipline conceived as a moral corrective? Compensating losers in a winner-take-all society is something that must be done with our eyes wide open, understanding the mistakes that we have made in the past, but understanding also that we are not limited by the mistakes we have made in the past. And if we do not find some constructive way to address the glaring inequity of our society, before the end of the century even the most pleasant lives will not be able to be fully insulated from the growing masses of marginalized and impoverished individuals whose only failing is that they are not good at making money. Financial crisis or political crisis? Democracy does not come naturally to the governments of Europe. Europe may have the institutions of democracy, and have them in a stronger form than elsewhere in the world, but democracy has shallow roots in the Old World, and in extremis we are not surprised to see Europe move in the direction of statism or populism. The problem of elite opinion, which I began to examine in The Technocratic Elite, is especially strong in Europe, and it repeatedly encounters the limits of engineering consent. Because of the strong democratic traditions of the nation-states of the western hemisphere, governments are eventually aligned more-or-less with public opinion, but in Europe the attempt to maintain a facade according to which elite opinion is presented as mass opinion leads to periodic instability in which the distance between elite and mass opinion opens up like a fault line during an earthquake, at time swallowing whole the political order entire. The European press, which is itself split between elite opinion and mass opinion, documents this divide. If you visit a European nation-state you will find highbrow media of a quality far superior to that of the US, but you will also find popular newspapers and magazines pandering to the lowest common denominator (the “yellow press”). The individual who reads the Financial Times (as I do) is likely to never read The Sun, and vice versa. I do not read the mass opinion press of Europe, so I do not know what it says, but I read quite a bit of the elite opinion media from Europe, and this tells us that Syriza, just elected to power in Greece, is a “radical party” of the left; the press also tells us that the National Front in France is a “radical party” of the right. There is a real concern, rooted in the painful lessons of European history, that Europe might once again turn to radicalism and extremism. How radical are these parties? 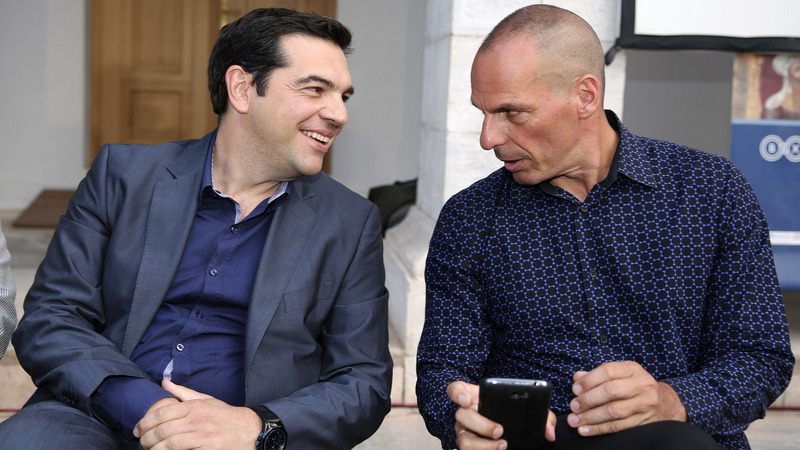 Is Syriza a front for Stalinism or the National Front a front for fascism? Is Europe truly on a verge of an ugly populism that must be suppressed in order to assure the continuity of democratic institutions in Europe? This, as I read it, is the sotto voce position of elite opinion in Europe. There are, of course, limits to European radicalism. One of the best explications of these limits that I have heard was to be found in a series of lectures by Jeremy Shearmur, an Australian philosopher and political scientist, who recorded a series for The Great Courses titled “Ideas in Politics.” Like many of my favorite lectures from The Great Courses, these have been discontinued and are no longer available (other discontinued favorites include An Introduction to Archaaeology by Susan Foster McCarter and The Search for a Meaningful Past: Philosophy, Theories and Interpretations by Darren Staloff). Shearmur noted in one of his lectures that if a truly radical government were elected, as soon as it came to power there would serious financial consequences: the currency would be bid down on international markets, foreign investors would seek to take their money elsewhere, and the country would become an international pariah. The leaders of a radical regime would then be forced from financial necessity to try to step in and calm the markets by making moderate-sounding statements. The lesson is that all the advanced industrialized nation-states are tightly integrated into the international financial system, and it would be quite painful for anyone of them–even a smallish economy like that of Greece–to separate themselves from this system. What I have just described is a mechanism of moderation within elite opinion that guides the international system. It is assumed that political leaders will say radical things to get elected, but as soon as they get elected they will begin to moderate their stance. In fact, we have already seen this with Syriza in Greece, and the deal that Greece struck with the EU was not quite the renunciation of its bail out that Syriza had campaigned on. In fact, this pattern is so predictable that truly radical leaders with little or no concern for pragmatism have been elected on the assumption that, once they came to power, they would moderate their tone and their demands. This was one of the mechanisms that made it possible for Hitler and the Nazi party to come to power. But this is not Germany in 1933. Conditions have changed. Indeed, we could with greater justification call these changes “radical” that to call contemporary European political parties or their leaders “radical.” The rule of Syriza is not going to initiate a new communist crackdown on Greek society, in which artists and poets will be jailed and Lysenkoism is imposed upon agriculture. Syriza may well effect an economic leveling that makes everyone except the nomenklatura and apparatchiks equally poor (this is, after all, what communist regimes typically do), but making everyone equally poor through economic policies known to be disastrous might be stupid, and it might mean the loss of an enormous amount of human potential, but it is unlikely to be criminal in the way that twentieth century communist regimes were criminal. Moreover, these are the policies that the people have voted for, and apparently it is necessary every single generation that people be taught a lesson on the unworkable nature of socialist economic policies. If Syriza is communist (and Yanis Varoufakis, e.g., has been very upfront about the influence of Marx on his own views), it is a kinder and gentler form of communism (to borrow a phrase from George H. W. Bush). And if the National Front is fascist, it is kinder and gentler form of fascism. No more than Syriza is going to jail opposition intellectuals is Marine Le Pen and the National Front going to preside over a Kristallnacht aimed at Muslims living in France, though if you read the records of elite opinion in Europe you very clearly get the idea that there is a profound undercurrent of anxiety that extremists will come to power in Europe who will repeat the most brutal episodes in European history. However, this anxiety seems to be almost entirely focused on a right-of-center populist reaction against Muslim influence in Europe, as elite opinion journals seem to have little interest in the rise of an extremist left. It could be argued that Europe would benefit from some political diversity (not to mention controversy), since monolithic elite opinion since the end of the Second World War has had the practical effect of denying the bully pulpit to alternative views. The election of Syriza in Greece, the rise of Podemos in Spain, the rallies of Pegida in Germany, and the improving poll numbers of the National Front in France are in this sense welcome. In so far as they give the bully pulpit to politicians who do not automatically mouth the euphemisms of elite European opinion, they actually give greater credibility to the EU and its programs. In so far as the EU and the PR spin doctors of Europe’s elite opinion seek to deny even a voice to radical and marginal parties, they are making the same mistake in relation to politics today that they made with religion in earlier centuries. Instead of a free market of ideas, the attempt to shape a top-down definition of acceptable views has the opposite effect of making the “official” view laughable while piquing curiosity about the other views. In so far as some view is universally condemned in official sources, intellectually alert individuals will take notice and will suppose that there is something of interest and possible even something that is a clear and present danger to the established order in these marginal views. Of course, the Europeans are not so stupid or as vulgar as to ban minority views outright (although there are a number of laws that make it illegal to make certain claims), but kinder and gentler elite opinion (like kinder and gentler communism and fascism) can be almost as effective in mere disapproval as it can be in outright legal sanction. Again, one need only pay attention to the monolithic on-message character of European politics. If you’re a careerist, you cannot possibly afford to neglect this. With Round Two of the Eurozone crisis being played out across Europe, and headlines looking a lot like they looked a few years ago, although this time with Syriza in power in Greece, European elite opinion is faced once again with kicking the can down the road or dealing with the problems on the merits. Given the record of European elite opinion being so tightly focused on message, in contradistinction to meaningful action, the likely result seems to be further muddling through while hoping all turns out OK in the end. How many times can Europe lurch to the brink of crisis only to lurch backward from the brink at the last possible moment? European elite opinion worries about the brinkmanship of Europe’s radicals, but it is elite opinion itself that is pushing Europe toward the brink. A distinction often employed in historiography is that between the diachronic and the synchronic. I have written about this distinction in several posts including Axes of Historiography, Ecological Temporality and the Axes of Historiography, Synchronic and Diachronic Geopolitical Theories, and Synchronic and Diachronic Approaches to Civilization. In several posts I have emphasized that futurism is the historiography of the future, and history the futurism of the past. In this spirit, it is obvious that the future, like the past, can also be approached diachronically or synchronically. That is to say, we can think of the future in terms of a succession of events, one following upon another — what Shakespeare called such a dependency of thing on thing, as e’er I heard in madness — or in terms of the interaction of events within a given period of future time. Thus we can distinguish diachronic futurism and synchronic futurism. This is a difference that makes a difference. One of the rare points at which futurism touches upon public policy and high finance is in planning for the energy needs of power-hungry industrial-technological civilization. If planners are convinced that the future of energy production lies in a particular power source, billions of dollars may follow, so real money is at stake. And sometimes real money is lost. When the Washington Public Power Supply System (abbreviated as WPPSS, and which came to be pronounced “whoops”) thought that nuclear power was the future for the growing energy needs of the Pacific Northwest, they started to build no fewer than five nuclear power facilities. For many reasons, this turned out to be a bad bet on the future, and WPPSS defaulted on 2.25 billion dollars of bonds. The energy markets provide a particularly robust demonstration of synchrony, so that within the broadly defined “present” — that is to say, in the months or years that constitute the planning horizon for building major power plants — we can see a great number of interactions within the economy that resemble nothing so much as the checks and balances that the writers of the US Constitution built into the structure of the federal government. But while the founders sought political checks and balances to disrupt the possibility of any one part of the government becoming disproportionately powerful, the machinations of the market (what Adam Smith called the “invisible hand”) constitute economic checks and balances that often frustrate the best laid schemes of mice and men. Energy markets are not only a concrete and pragmatic exercise in futurism, they are also a sector that tends to great oversimplification and are to vulnerable to bubbles and panics that have contributed to a boom-and-bust cycle in the industry that has had disastrous consequences. The captivity of energy markets to public perceptions has led to a lot of diachronic extrapolation of present trends in the overall economy and in the energy sector in particular. I’ve written some posts on diachronic extrapolation — The Problem with Diachronic Extrapolation and Diachronic Extrapolation and Uniformitarianism — in an attempt to point out some of the problems with straight line extrapolations of current trends (not to mention the problems with exponential extrapolation). An example of diachronic extrapolation carried out in great detail is the book $20 Per Gallon: How the Inevitable Rise in the Price of Gasoline Will Change Our Lives for the Better by Christopher Steiner, which I discussed in Are Happy Days Here Again?, speculating on how the economy will change as gasoline prices continue to climb, and written as though nothing else would happen at the same time that gas prices are going up. If we could treat one energy source — like gasoline — in ideal isolation, this might be a useful exercise, but this isn’t the case. When the price of fossil fuels increase, several things happen simultaneously. 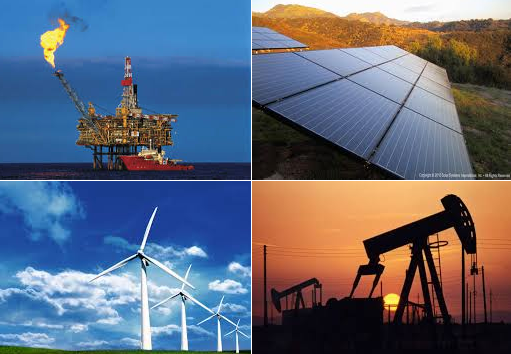 More investment comes into the industry, sources that had been uneconomical to tap start to become commercially viable, and other sources of energy that had been expensive relative to fossil fuels become more affordable relative to the increasing price of their alternatives. Also, with the passage of time, new technologies become available that make it both more efficient and more cost effective to extract fossil fuels previously not worth the effort to extract. Higher technologies not only affect production, but also consumption: the extracted fossil fuels will be used much more efficiently than in the past. And any fossil fuels that lie untapped — such as, for example, the oil presumed to be under ANWR — are essentially banked in the ground for a future time when their extraction will be efficient, effective, and can be conducted in a manner consistent with the increasingly stringent environmental standards that apply to such resources. Energy industry executives have in the past had difficulty in concealing their contempt for alternative and renewable resources, and for decades the mass media aided and abetted this by not taking these sources seriously. But that is changing now. The efficiency of solar electric and wind turbines has been steadily improving, and many European nation-states have proved that these technologies can be scaled up to supply an energy grid on an industrial scale. For those who look at the big picture and the long term, there is no question that solar electric will be a dominant form of energy; the only problem is that of storage, we are told. But the storage problem for solar electricity is a lot like the “eyesore” problem for wind turbines: it has only been an effective objection because the alternatives are not taken seriously, and propaganda rather than research has driven the agenda. The Earth is bathed in sunlight at all times, but one side is always dark. a global energy grid — well within contemporary technological means — could readily supply energy from lighted side to the dark side. Even this discussion is too limited. The whole idea of a “national grid” is predicated upon an anarchic international system of nation-states in conflict, and the national energy grid becomes in turn a way for nation-states to defend their geographical territory by asserting control of energy resources within that territory. There is no need for a national energy grid, or for each nation-state to have a proprietary grid. We possess the technology today for decentralized energy production and consumption that could move away from the current paradigm of a national energy grid of widely distributed consumption and centralized production. But it is not my intention in this context to write about alternative energy, although this is relevant to the idea of synchrony in energy markets. I cite alternative energy sources because this is a particular blindspot for conventional thinking about energy. Individuals — especially individuals in positions of power and influence — get trapped in energy groupthink no less than strategic groupthink, and as a result of being virtually unable to conceive of any energy solution that does not conform to the present paradigm, those who make public energy policy are often blindsided by developments they did not anticipate. Unfortunately, they do so with public money, picking winners and losers, and are wrong much of the time, meaning losses to the public treasury. When an economy, or a sector of the economy, is subject to stresses, that economy or sector may experience failure — whether localized and containable, or catastrophic and contagious. In the wake of the late financial crisis, we have heard about “stress testing” banks. Volatility in energy markets stress tests the components of the energy markets. Since this is a real-world event and not a test, different individuals respond differently. Individuals representing institutional interests respond as one would expect institutions to respond, but in a market as complex and as diversified as the energy market, there are countless small actors who will experiment with alternatives. Usually this experimentation does not amount to much, as the kind of resources that institutions possess are not invested in them, but this can change incrementally over time. The experimental can become a marginal sector, and a marginal sector can grow until it becomes too large to ignore. All of these events in the energy sector — and more and better besides — are occurring simultaneously, and the actions of any one agent influence the actions of all other agents. It is a fallacy to consider any one energy source in isolation from others, but it is a necessary fallacy because no one can understand or anticipate all the factors that will enter into future production and consumption. Energy is the lifeblood of industrial-technological civilization, and yet it is beyond the capacity of that civilization to plan its energy future, which means that industrial-technological civilization cannot plan its own future, or foresee the form that it will eventually take. Synchrony in energy markets occurs at an order of magnitude that defies all prediction, no matter how hard-headed or stubbornly utilitarian in conception the energy futurism involved. The big picture reveals patterns — that fossil fuels dominate the present, and solar electric is likely to dominate the future — but it is impossible to say in detail how we will get from here to there. In my post on why the future doesn’t get funded I examined the question of unimaginative funding that locks up the better part of the world’s wealth in “safe” investments. In that post I argued that the kind of person who achieves financial success is likely to do so as a result of putting on blinders and following a few simple rules, whereas more imaginative individuals who want adventure, excitement, and experimentation in their lives are not likely to be financially successful, but they are more likely to have a comprehensive vision of the future — precisely what is lacking among the more stable souls who largely control the world’s financial resources. Of course, the actual context of investment is much more complex than this, and individuals are always more interesting and more complicated than the contrasting caricatures that I have presented. But while the context of investment is more complicated than I have presented it in my previous sketch of venture capital investment, that complexity does not exonerate the unimaginative investors who have a more complex inner life than I have implied. Part of the complexity of the situation is a complexity that stems from self-deception, and I will now try to say something about the role of self-deception on the part of venture capitalists. One of the problem with venture capital investments, and one the reasons that I have chosen to write on this topic, is that the financial press routinely glorifies venture capitalists as financial visionaries who are midwives to the future as they finance ventures that other more traditional investors and institutional investors would not consider. While it is true that venture capitalists do finance ventures that others will not finance, as I pointed on in the above-linked article, no one takes on risk for risk’s sake, so that it is the most predictable and bankable of the ventures that haven’t been funded that get funding from the lenders of last resort. Venture capitalists, I think, have come to rather enjoy their status in the business community as visionaries, and are often seen playing the role in their portentous pronouncements made in interviews with the Wall Street Journal and other organs of the financial community. By and large, however, venture capitalists are not visionaries. But many of them have gotten lucky, and herein lies the problem. If someone thinks that they understand the market and where it is going, and they make an investment that turns out to be successful, they will take this as proof of their understanding of the mechanisms of the market. This is actually an old philosophical paradox that was in the twentieth century given the name of the Gettier paradox. Here’s where the idea comes from: many philosophers have defined knowledge as justified true belief (something that I previously discussed in A Note on Plantinga). I myself object to this definition, and hold, in the Scholastic tradition, that something known is not a belief, and something believed cannot be said to be known. So, as I see it, knowledge is no kind of belief at all. Nevertheless, many philosophers persist in defining knowledge as justified true belief, even though there is a problem with this definition. The problem with the definition of knowledge as justified true belief is the Gettier paradox. The Gettier paradox is the existence of counter-examples that are obviously not knowledge, but which are both true and justified. Of Russell’s three examples, I like the first best because it so clearly delineates the idea of justified true belief that fails to qualify as knowledge. You look at a stopped clock that indicates noon, and it happens to be noon. You infer from the hands on the dial that it is noon. That inference if your justification. It is, in fact, noon, so your belief is true. But this justified true belief is based upon accident and circumstance, and we would not wish to reduce all knowledge to accident and circumstance. Russell’s last example involves an “unshakeable conviction,” that is to say, a particular state of belief (what analytical philosophers today might call a doxastic context), so it isn’t quite the pure example of justified true belief as the others. An individual’s understanding of history is often replete with justified true beliefs that aren’t knowledge. We look at the record of the past and we think we understand, and things do seem to turn out as we expected, and yet we still do not have knowledge of the past (or of the present, much less of the future). When we read the tea leaves wrongly, we are right for the wrong reasons, and when we are right for the wrong reasons, our luck will run out, sooner rather than later. Contemporary history — the present — is no less filled with misunderstandings when we believe that we understand what it is happening, we anticipate certain events on the basis of these beliefs, and the events that we anticipate do come to pass. This problem compounds itself, because each prediction borne out raises the confidence of the investor, who is them more likely to trust his judgments in the future. To be right for the wrong reasons is to be deceived into believing that one understands that which one does not understand, while to be wrong for the right reason is to truly understand, and to understand better than before because one’s views have been corrected and one understands both that they have been corrected and how they have been corrected. Growth of knowledge, in true Popperian fashion, comes from criticism and falsification. This problem is particularly acute with venture capitalists. A venture capital firm early in its history makes a few good guesses and becomes magnificently wealthy. (We don’t hear about the individuals and firms that fail right off the bat, because they disappear; this is called survivorship bias.) This is the nature of venture capital; you invest in a number of enterprises expecting most to fail, but the one that succeeds succeeds so spectacularly that it more than makes up for the other failures. But the venture capital firm comes to believe that it understands the direction that the economy is headed. They no longer think of themselves as investors, but as sages. These individuals and firms come to exercise an influence over what gets funded and what does not get funded that is closely parallel to the influence that, say, Anna Wintour, has over fashion markets. Few venture capital firms can successfully follow up on the successes that initially made them fabulously wealthy. Some begin to shift to more conservative investments, and their portfolios can look more like the sage of Omaha than a collection of risky start ups. Others continue to try to stake out risky positions, and fail almost as spectacularly as their earlier successes. The obvious example here is the firm of Kleiner Perkins. Kleiner Perkins focused on a narrow band of technology companies at a time when tech stocks were rapidly increasing, also known as the “tech bubble.” Anyone who invested in tech stocks at this time, prior to the bubble bursting, made a lot of money. Since VC focuses on short-term start-up funding, they were especially positioned to profit from a boom that quickly spiraled upward before it crashed back down to the earth. In short — and this is something everyone should understand without difficulty — they were in the right place at the right time. After massive losses they threw a sop to their injured investors by cutting fees and tried to make it look like they were doing something constructive by restructuring their organization — also known as “rearranging the deck chairs on the Titanic.” But they still haven’t learned their lesson, because instead of taking classic VC risks with truly new ideas, they are relying on people who “proved” themselves at the tech start-ups that they glaringly failed to fund, Facebook and Twitter. This speaks more to mortification than confidence. Closing the barn door after the horse has escaped isn’t going to help matters. Again, this is a very simplified version of events. Actual events are much more complex. Powerful and influential individuals who anticipate events can transform that anticipation into a self-fulfilling prophecy. There are economists who have speculated that it was George Soros’ shorting of the Thai Baht that triggered the Asian financial crisis of 1997. So many people thought that Soros was right that they started selling off Thai Baht, which may have triggered the crisis. Many smaller economies now take notice when powerful investors short their currency, taking preemptive action to head off speculation turning into a stampede. Similarly, if a group of powerful and influential investors together back a new business venture, the mere fact that they are backing it may turn an enterprise that might have failed into a success. This is part of what Keynes meant when he talked about the influence of “animal spirits” on the market. It seems that China’s transition from an export-led growth model to a consumer-led growth model based on internal markets is re-configuring the global commodities markets, as producers of raw materials and feedstocks are hit by decreased demand while manufacturers of consumer goods stand to gain. I think that this influence on global markets is greatly overstated, as China’s hunger for materials for its industry will likely decrease gradually over time (a relatively predictable risk), while the kind of financial trainwreck that comes from disregarding political and economic instability can happen very suddenly, and this is a risk that is difficult to factor in because it is almost impossible to predict. So are economists assessing the risk they know, according to what Daniel Kahneman calls a “substitution heuristic” — answering a question that they know, because the question at issue is either too difficult or intractable to calculation? I believe this to be the case. Most stock pickers simply don’t have what it takes in order to understand the political dynamics of a large (and especially an unstable) nation-state, so instead of trying to engage in the difficult task of puzzling out the actual risk, an easier question is substituted for the difficult question that cannot be answered. And thus it is that even under political conditions in which wars, revolution, and disruptive social instability could result in an historically unprecedented loss or expropriation of wealth, investors find a way to convince themselves that it is okay to return their money to region (or to an enterprise) likely to mismanage any funds that are invested. The simpler way to put this is to observe that greed gets ahead of good sense and due diligence. Keynes thought that the animal spirits (i.e., cognitive biases) were necessary to the market functioning. Perhaps he was right. Perhaps venture capital also can’t function without investors believing themselves to be right, and believing that they understand what is going on, when in fact they are wrong and they do not understand what is going on. But unless good sense and due diligence are allowed to supplement animal spirits, a day of reckoning will come when apparent gains unravel and some unlucky investor or investors are left holding the bag. 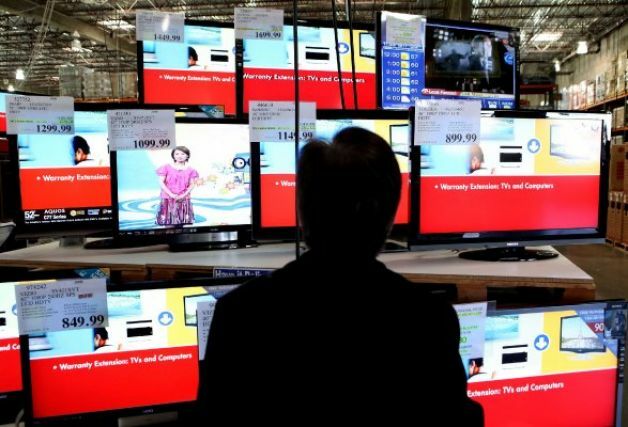 What is the role of the consumer in the economies of advanced industrialized nation-states? The question is not as easily answered as one might suppose. In my last post, Global Debt Market Roundup I mentioned, “It seems that China’s transition from an export-led growth model to a consumer-led growth model based on internal markets is re-configuring the global commodities markets, as producers of raw materials and feedstocks are hit by decreased demand while manufacturers of consumer goods stand to gain.” This is a familiar talking point in contemporary economics, and I will assume that everyone is familiar with the distinction between an export-driven economy and a consumer-driven economy. The emerging structure of the global market seemed to offer a series of steps toward accession to global markets, and hence economic growth. A nation-state begins by greatly discounting its labor; investors build manufacturing facilities in the country to take advantage of the inexpensive labor to lower its production costs. As investment enters the country, and an increasing number of persons are earning regular wages, the local population has the resources to invest in education while the local government has the resources to invest in infrastructure (or the infrastructure is gradually put in place by investors). With a more highly educated workforce and improved infrastructure, the nation-state is prepared to move the next step up the value-added chain in manufacturing. With each stage of value-added manufacturing, the workforce becomes more sophisticated and the local infrastructure improves, leading to a virtuous circle. Moving up the chain of value-added manufacturing, however, remains within the paradigm of an export-driven economy, and while this model served China well for several decades, it also has structural vulnerabilities. The Great Recession reduced the buying power of wealthiest regions of the world (Western Europe and North America), which led to a drop in demand, which led to factories in China being shuttered. This was a big problem, but it was not the only problem. The investment in discomfort mentioned above eventually needs to be redeemed, and the millions of Chinese who have made this investment want more from life. The Chinese communist party is not about to give up its stranglehold on political control, so it has turned to the tried-and-true model of a consumer-driven economy, in which workers will have the opportunity to join the rat race for material abundance. The consumer-driven economic model would seem to place the consumer at the center of economic activity, but is this the case? Is the consumer central to consumer-driven markets, especially in comparison to export-led markets? Certainly the consumer plays a much more important role in the consumer-led economy as compared to the export-led economy, but it would be misleading to say that the consumer is central to a consumer-driven market, though this is a common misconception. The transition from an export-driven to a consumer-driven model is not a play to make the consumer central to the operation of a market economy, but to shift to an economic model less vulnerable to global demand fluctuation and which sufficiently placates workers that they can be counted on not to riot. Ideally (from the perspective of the nation-state), the consumer is a ratepayer who receives some infrastructural service in exchange for regular payments to the service provider. The essence of this transaction is its fungibility and anonymity: any ratepayer might contract with any provider to meet the need for goods or services. In practice, the transaction is constrained by so many factors that the market is reduced to Hobson’s choice: the choice between what is offered or nothing. In late industrialized capitalism we have seen a considerable departure from this ideal model as industry has sought to personally engage consumers and has invested considerable resources into “branding” in order that consumers should develop specific preferences not only for specific products, but also for specific producers of goods and services. The competition among brands for loyal and reliable consumers has led to industries pouring money into studying the buying habits of consumers, and this in turn has led to the idea that the mere idiosyncrasies of consumers and their tastes are what drive the market. Industries have turned market research into a deceptive fetish, often based on distorted and misinterpreted statistics (sometimes willfully misinterpreted, as consultants, conscious of their own need for an income, need to justify ongoing market research). The most obvious example I can think of to illustrate this is how market researchers systematically look to buying habits among the youngest consumers, on the assumption that these youngest consumers will grow up, get jobs, and then spend real money on goods and services. The result has been to drive the infantilization of consumer products, such that industry produces what teenagers want, not realizing that teenagers grasp at whatever trend happens to be hot at the moment, in adolescent desperation to be part of whatever is “happening” at the moment. It is this kind thinking that has led to idiotic predictions of the “death of the PC” because many young people use their smart phones and tablet computers, communicating through instant messaging services and not bothering to exchange emails. At one time, if you wanted a computer, you had the choice between a PC or nothing. Now consumers have many choices. That does not mean that PCs will disappear, but they will have a smaller proportion of market share as those who had no need for a fully functional PC turn to smaller, lighter devices for their needs. So don’t expect a diachronic extrapolation of the decline in demand for PCs to continue down to zero. And don’t expect adults in the workplace to abandon email in favor of exchanging messages through Facebook or some other social media site. It is this kind of limited thinking that has also given us the operating system of Windows 8. Because of the fetish for handheld devices, on which “apps” predominate, the wizards at Microsoft thought that this is the trend that is defining the future of computing. Because teenagers are using apps, that must mean that everyone will be using apps in the future, and that everyone will want their PC set up with a touch screen with the apps being the first thing you see when you turn it on. Recently I read a columnist humorously make the claim that no one over the age of 18 thinks that One Direction is the future of music (I don’t recall who wrote this). We recognize the humor in this, and laugh at it, but it is exactly this kind of thinking that is being taken seriously by software engineers and computer manufacturers, and this may be yet another reason that computers may become completely useless to us. Microsoft still won’t admit it made a mistake with Windows 8; probably they will never admit it, but there is a humorous photograph making the rounds of the internet of a shop sign advertising the service of “downgrading” a Windows 8 operating system to a Windows 7 operating system. I don’t know if the photograph is for real or if it is Photoshopped, but we understanding the joke immediately, in the same way that we understand the joke about One Direction and the future of music. The only question is how long we will have to suffer from suboptimal products driven by misguided consumer research before the technology industry passes out of its own adolescence, painful and conflicted as it is.